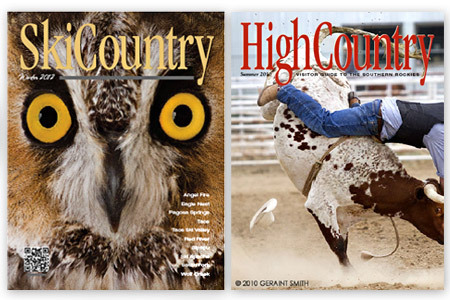 We've been helping businesses, creative professionals and publishers bring visual identities to life for over 30 years in Taos, New Mexico. Have you ever been urged to get a website or update an existing one, maybe a Wordpress site? 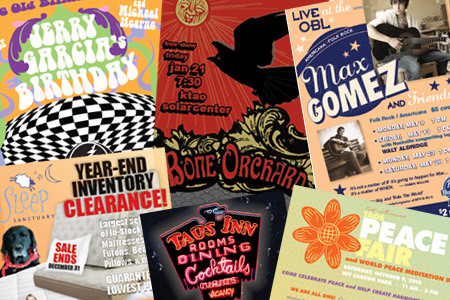 Is it finally time to get a professional logo, brochure, or rack card? Afraid your advertising message will be misunderstood? If you need answers, don't worry: We'll lead you through the often confusing maze of technological options to find the best solutions. Keeping up with the latest trends in internet technology, communication media, advertising, and print may be a nightmare for you, but it's a pleasant obsession for us. Combining creativity with technical experience to produce your project is our delight. 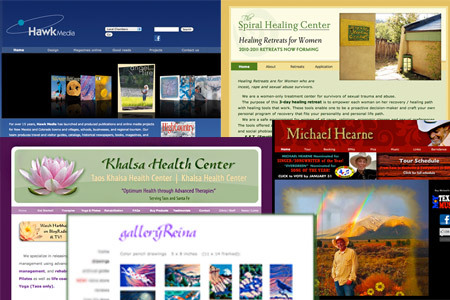 Call Digerati Design in Taos (575-758-4047) about website design, development, or upgrade, graphic design for print, illustration, advertising, logo development, package design, book design, rack cards, business cards, publication production. We're user-friendly and empathetic, and we'd love to hear about your vision.